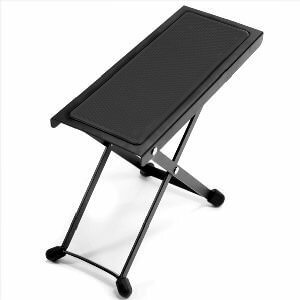 To achieve a comfortable and optimum posture while playing the guitar, you may need a foot stool. You can adjust the height and they tend to fold flat for easier transportation in your guitar case. I quite like the Tiger footstool, which comes in black, blue and red.